Man, that's hard to pick. I think I'd have to say The Santa Clause. It's been one of my favorites for as long as I can remember. I love everything about it - the wonder, the whole foundation of 'believing is seeing,' the magic. I watch it year-round. Also, I started shaking my hot chocolate instead of stirring because Judy the Elf said it's the best way to mix it. Coming in at a close second is Elf. I think that needs no explanation :). No one, ha. I'm not a big fan of being touched by people who aren't my significant other. But if I HAD to pick, then The Rock. Because ... it's The Rock. I honestly can't think of a bad Christmas. As long as I'm with my family, I'm happy. We don't generally have a lot of drama on Christmas, thankfully. It's hard to think of a best as well because I love them all, for various reasons. I love giving gifts and watching my loved ones open them, and we always have Christmas music playing in the background with the tree all lit up. It's cozy and fun. I will say that even though I won't get to be with my family this Christmas (first holiday away from home! ), I am looking forward to possibly having my first white Christmas up north, and seeing the lights and celebrations that Gettysburg has to offer. I also got my mom an awesome gift and I am so excited for her to open it! The spirit. I get a little sad on Christmas day that it's almost over. I suppose I love everything leading up to it. One of my favorite things to do as a kid was drive around with my parents looking at Christmas lights. I feel like people don't really do that anymore, which is a bummer. I love the lights, the songs, the colors, the decorations. It feels like family to me. Hmm. That's hard - most of my characters are hard-asses who would never admit to liking Christmas! I'd have to say Jett and Lettie from Fragile Creatures (http://amzn.to/1vRmgs4) would love it the most. They would work extremely hard to make everyone feel loved and would go all out with decorations. 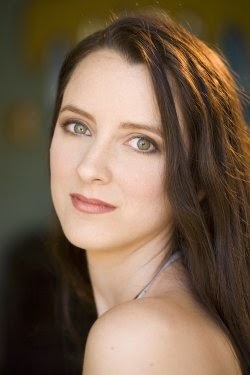 The character who would hate Christmas, probably Melanie O'Conner from The Helping Hands (http://amzn.to/1Acl1rF). She's a street girl who grew up rough. Christmas would never be on her radar.